By now we suspect your feeds have been inundated with gift ideas for Christmas, and we know it can be hard to sift through what is actually worth paying attention to. Want the best of the best? You've landed at the right place. Whether you're on a Christmas budget or not, you’re going to fall hard for our elevated Christmas gift guide (just as much as we've loved putting it together). So who are you buying for exactly? The stylish woman in your life who loves fashion but isn't driven by trends—she's the one who takes care of her skin with quality beauty products, invests in quality lifestyle products like luxurious leather notebooks and the latest tech. From luxe Chanel creams, to Tiffany & Co. jewels and Jo Malone fragrances, each product has been hand-picked by our editors so you can trust the special woman in your life will love it too. Keep scrolling to shop our ultimate Christmas gift guide. 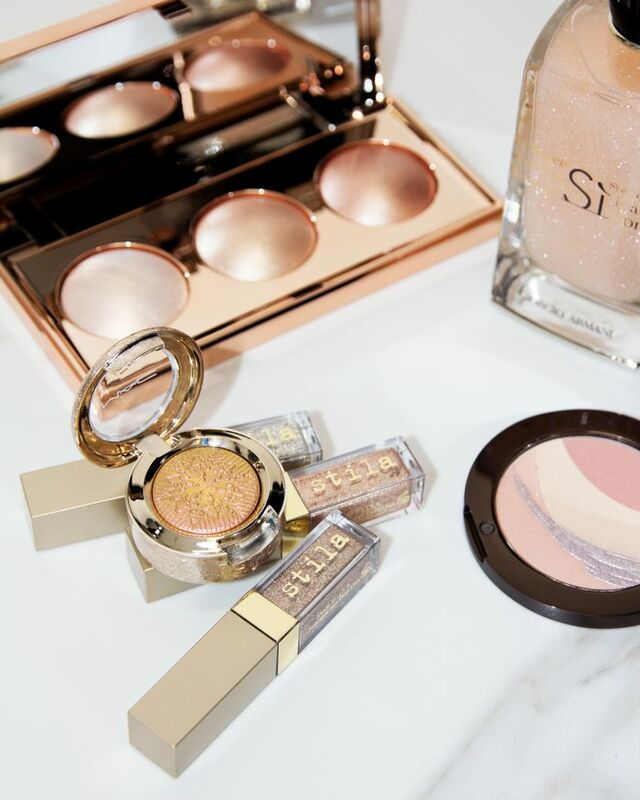 Clockwise from left: Mecca Cosmetica The Enlightened Trio, $69; Giorgio Armani Si Nacre, $199; La Mer The Illuminating Powder, $175; Stila Written In The Stars Glitter and Glow Liquid Eye Shadow Set, $36; Mac Cosmetics Snowball Extra Dimensional Eye Shadow in Stylishly Merry, $40. Clockwise from left: Jo Malone English Oak and Redcurrant Cologne, $198; Le Labo Hand Pomade, $36; Sans Ceuticals Bio Active Body Exfoliant, $53; Chanel La Creme Main, $87; Byredo Velvet Haze, $160. Clockwise from left: Charlotte Tilbury Naughty and Nice Magic Box, $295; Marc Jacobs Decadence Rouge Noir Edition, $190; Bobbi Brown Luxe Classics Mini Lip Set (shown unpacked), $240. Clockwise from left: Chloe Absolu De Parfum, $145; Prada Les Infusions de Rose, $189; Fenty Beauty Stunna Lip Paint, $36; Becca X Chrissy Teigan Glow Face Palette, $78. Clockwise from left: Louis Vuitton Travel Case, $600; Louis Vuitton Matière Noire, $330; Gucci GG Supreme Messenger Bag, $1900; The Daily Edited Burgundy Luggage Tag, $55; Blacklist Get Lost Travel Journal, $25; West Elm Brass Inlay Marble Tray, $48. Clockwise from left: Iiuvo Woodgrain Candle, $93; Fornasetti Archiettettura Candle, $740; Byredo Bohemia Candle, $89; Cocolux Bergamot, Lily and Moss Copper Candle, $55; West Elm Deco Handle Tray, $72; West Elm Souk Wool Rug, $559. Clockwise from left: The Daily Edited Black Tech Case, $110; Apple iPad Pro in Space Grey, $979; Apple Pencil, $145; Apple iPad Pro Leather Sleeve in Taupe, $189; Bose Black Wireless Headphones, $329. Clockwise from left: An Organised Life 2018 Daily Planner, $55; The Daily Edited Mist Grey Illustrated 2018 Diary, $100; The Daily Edited Pale Pink Illustrated 2018 Diary, $100; Blacklist Writing Pad, $15; Blacklist The Daily List Notebook, $40. Clockwise from left: Ace of Something Electra Hat, $80; Posse Zimi Slides, $160; Cult Gaia Acrylic Ark Bag via Shopbop, $399; Lucy Folk Sunglasses, $385; Lucy Folk Eyewear Chain, $95; Dinosaur Designs Bangle, $105; West Elm Deco Handle Tray, $72; West Elm Souk Wool Rug, $559. Clockwise from left: Maje Heart Saddle Bag, $417; Pared x Bec + Bridge Sunglasses, $250; Dinosaur Designs Bangle, $105; The Daily Edited Phone Case, $50; Ancient Greek Sandals, $190; West Elm Brass Inlay Marble Tray, $48. Clockwise from left: From St Xavier Drawstring Bag (similar), $100; West Elm Gilded Cafe Tray, $71; Tiffany & Co. Hardwear Necklace, $1550; Miu Miu Special Project Sunglasses, $570; Gold Rings, stylists own; Loeffler Randall Coco Metallic Mules via Shopbop, $370. Clockwise from left: Mark Cross Shoulder Bag, $3110; Robert Clergerie Gigi Slides, $395; Valet Studio Earrings (sample) Poppy Lissiman Sunglasses, $140. Love Christmas gift guides? Follow us on Pinterest.